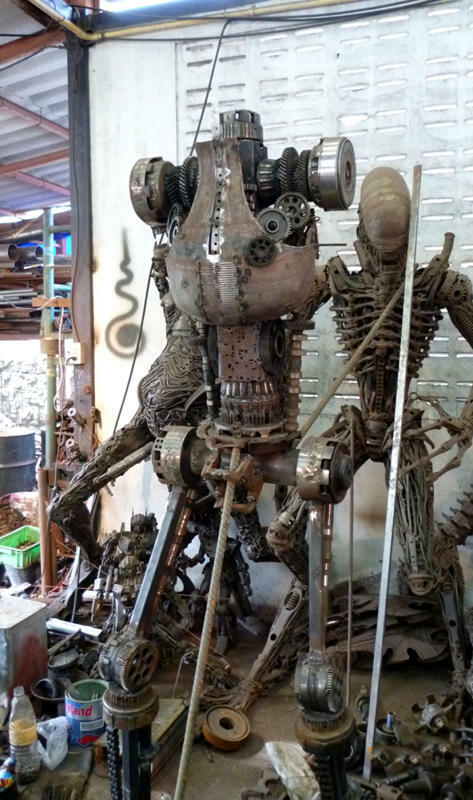 Where Recycled Metal Becomes Unique Art! We are a Los Angeles based company that offers you the most unique and extraordinary form of art. We offer the best quality and the most detailed pieces of Scrap Sculptures on the market. We have a large stock and offer worldwide shipping. Our Scrap Sculptures are very cool and unique gift ideas. They are perfect "eye-catchers" for conventions and look fantastic in your home, office or collectors shelf. 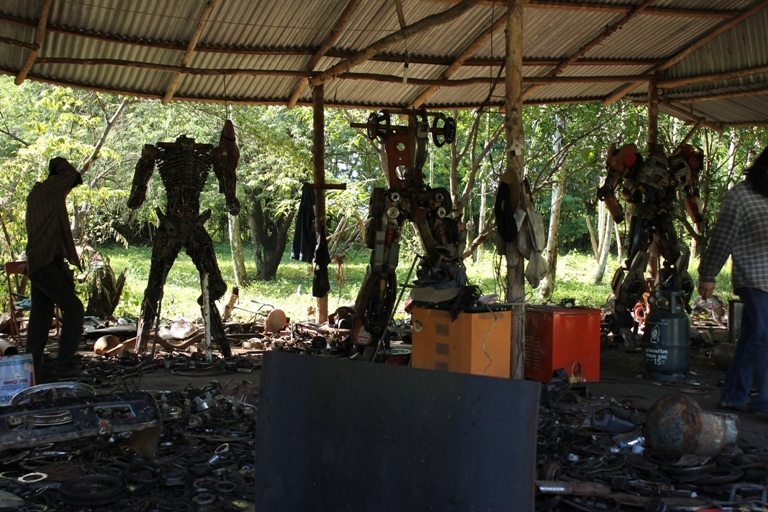 All our sculptures are entirely made from recycled scrap metal. 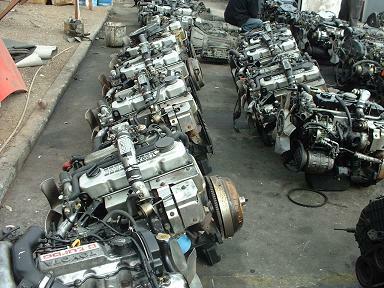 Our artists use car parts, motorcycle parts, nuts and bolts, spark plugs, nails and all different kinds of scrap metal. The parts contain basically everything you would find on a scrap yard and everything that is economically recyclable. We are a "Green Company" and use only Non-Toxic materials. 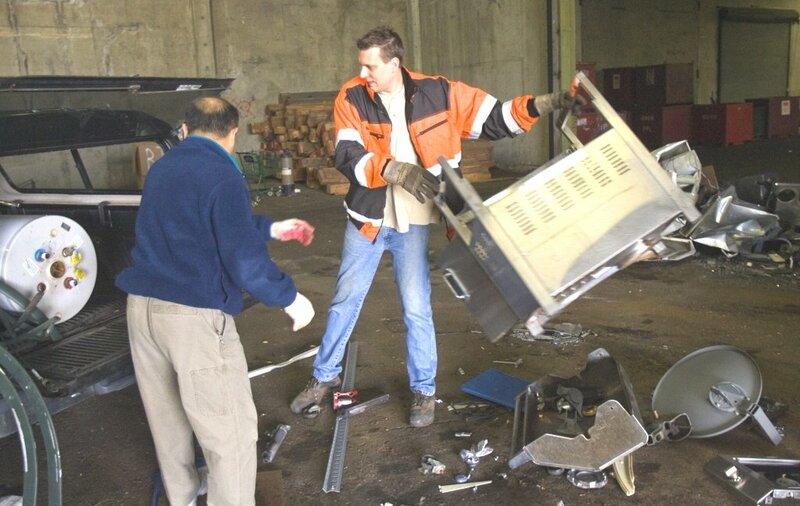 Our goal is to provide an excellent way of economical and creative recycling of scrap metal. 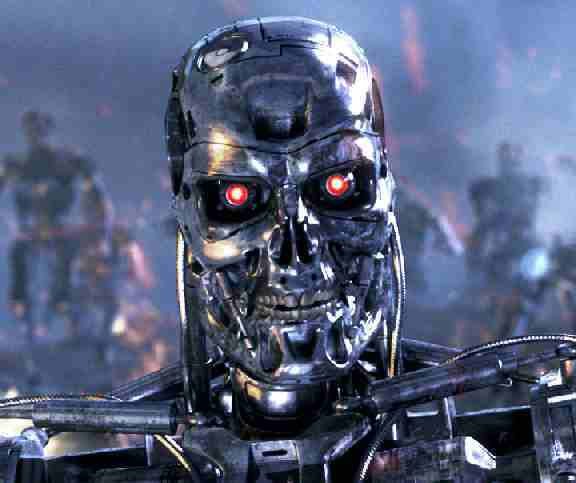 We have many customers worldwide who previously ordered custom pieces such as Life Size Terminators, Transformers and Predators. Our goal is to offer you the best quality and most skilled, hand craft art available. A satisfied customer is our main concern and we are happy to answer any question you may have regarding our business. Before starting the creation of a Scrap Sculpture, our artists begin gathering ideas and drawing a concept. 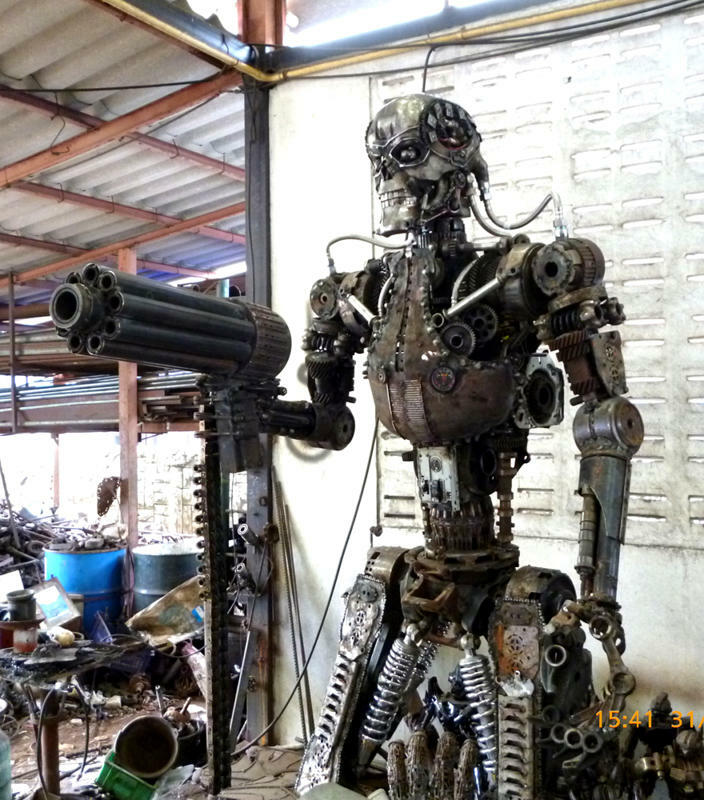 After having a concept the artists start collecting spare scrap metal parts. 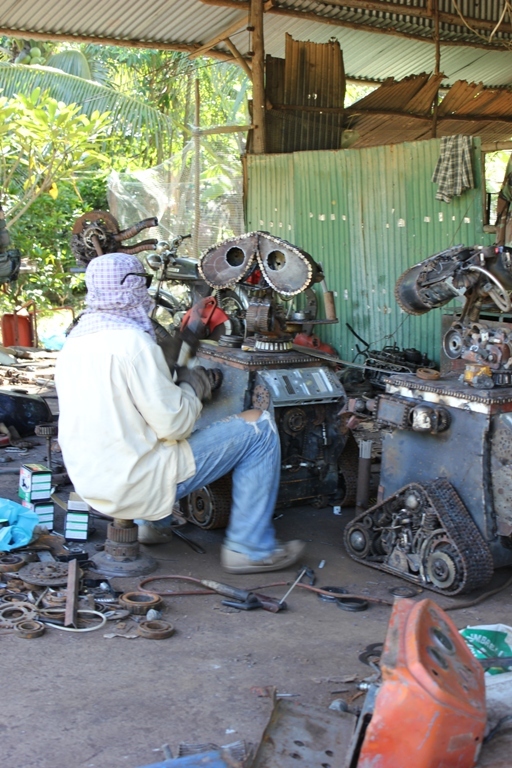 Used car parts, motorcycle parts, spark plugs, nuts and bolts are collected for the Sculpture. Then the welding process begins and can, depending on size and details, take up to 4 months per piece. After the scrap metal is welded into a master piece of art, a protective clear code is added to the Sculpture. It all begins with an idea of a new piece. 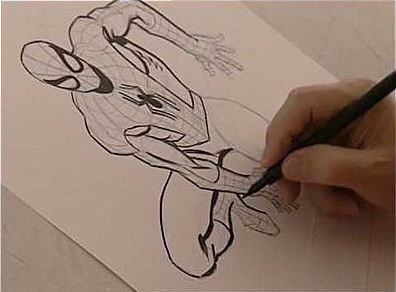 The artists choose a character and draw a sketch. 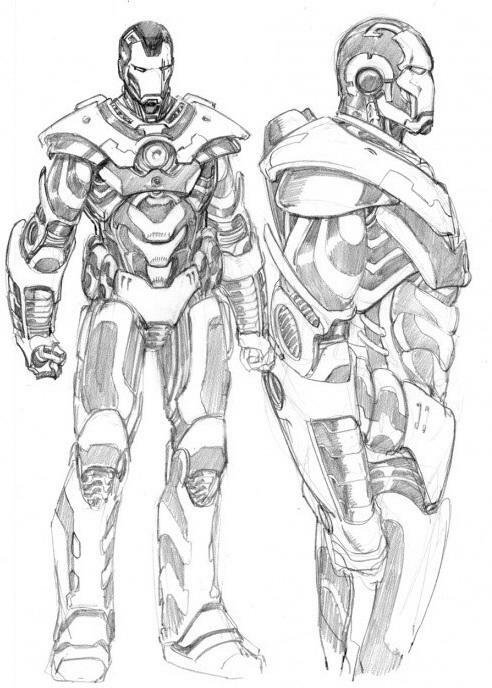 After sketching a draft, the artists collect different recyclable spare parts, suitable for welding. When all scrap metal parts are collected the welding process begins. Depending on the size and detail of the sculpture, the whole process can take up to 4 months. Slowly the Scrap Sculpture gets its shape. The body, arms and legs are recognizable. 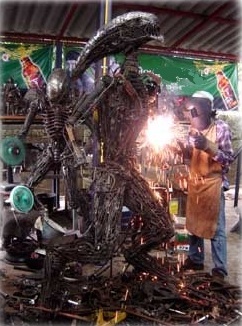 Two different stages of a Life Size Terminator Sculpture in progress. After the welding process is completed, the sculpture is cleaned, polished and a protective clear code is added. After completion, the quality of each sculpture is checked and they are ready to be shipped out to our customers.